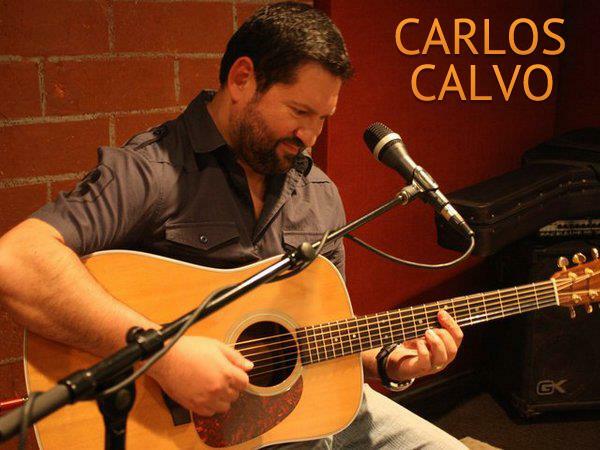 Join us this week as we welcome guitarist, singer songwriter, producer, and Hollywood guitar coach, Carlos Calvo. Carlos injects Alternative Folk/Pop with something it has been missing: virtuoso guitar playing. His original music features his warm, resonant voice, deep and thoughtful lyrics, accompanied by guitar playing that elegantly mixes genres from Blues to Flamenco and everything in between. Carlos grew up surrounded by world-famous flamenco and classical guitarists. He was formally trained at Carnegie Hall to play Bach and Barrios, but has been equally influenced by The Beatles, Jimi Hendrix, Led Zeppelin, and Rolling Stones. Before embarking on his solo career, Carlos fronted successful bands that toured with Bob Dylan, Paul Simon and Willie Porter. As a solo artist, he has toured with The Bacon Brothers and Colin Hay and numerous times in Europe as a headliner. He played guitar on the score of King of the Hill for three seasons and has placed original songs in major motion pictures (She’s All That, Finding Holden). Carlos has taught the likes of Maroon 5’s Adam Levine, David Duchovny, Rob Morrow (Northern Exposure, People Vs OJ Simpson), Marg Helgenberger (CSI, Under The Dome) and Ambyr Childers (Ray Donovan). He was a consultant during the entire run of Californication. He’s a product spokesman for Bugera amps & TC Electronic and just released his first ever Christmas song last week "California Christmas". We will talk to Carlos about his upcoming schedule, get a behind the scenes look at his music, feature his latest songs, and ask him to share his message for the troops. Please be sure to visit Carlos Calvo at http://carloscalvo.com/ and spread the word. Fans are welcome to call in and speak live with Carlos during the show (718) 766-4193. Our message to the troops: WE do what we do, because YOU do what you do.